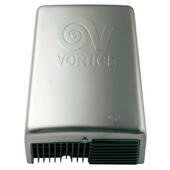 There is a wide range of choice to suit most budgets within the Vortice range. Sensor activated hand dryers are most popular for hygene reasons, but some companies still prefer a button on the front of the unit to 'punch' and manually start the dryer. The plastic units are surprisingly strong, but you can't beat a solid metal unit for durability and long term colour stability. Metal units tend to carry the higher price tags. 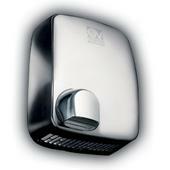 Vortice hand dryers are available in a range of finishes including white, stainless steel and black. 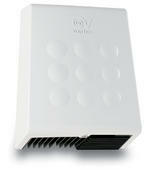 Ranging from 1350 watts to over 2000 watts, there is a pay off of energy efficiency against drying times.